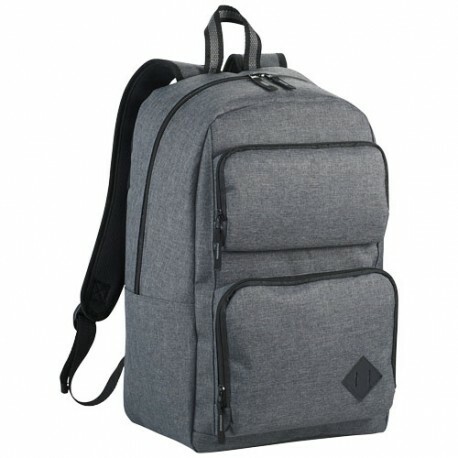 Graphite Deluxe 15.6" Laptop Backpack. 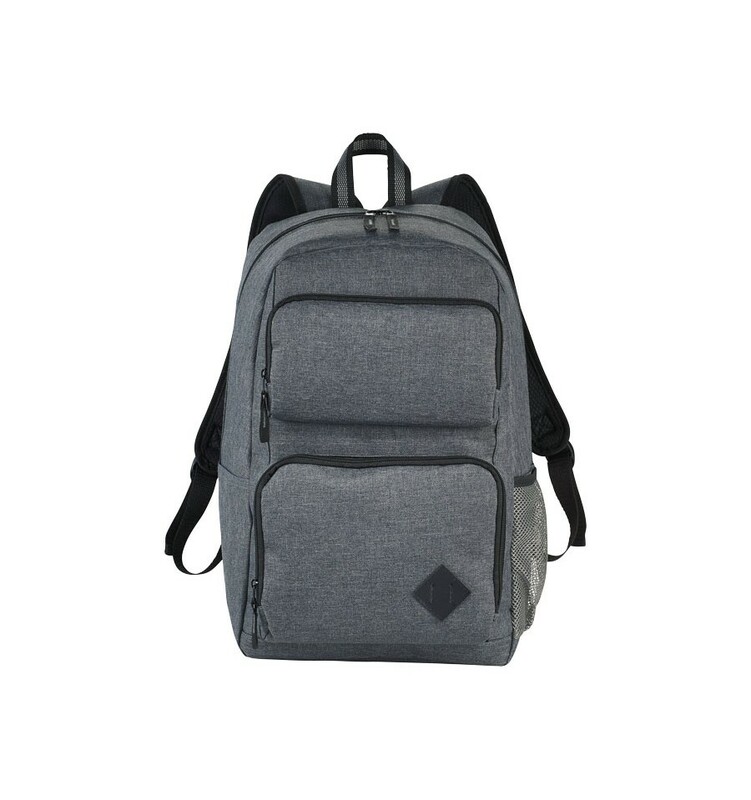 Zipped main compartment with padded laptop sleeve holds up most 15.6" laptops and has a dedicated tablet pocket with room for all your other business essentials. 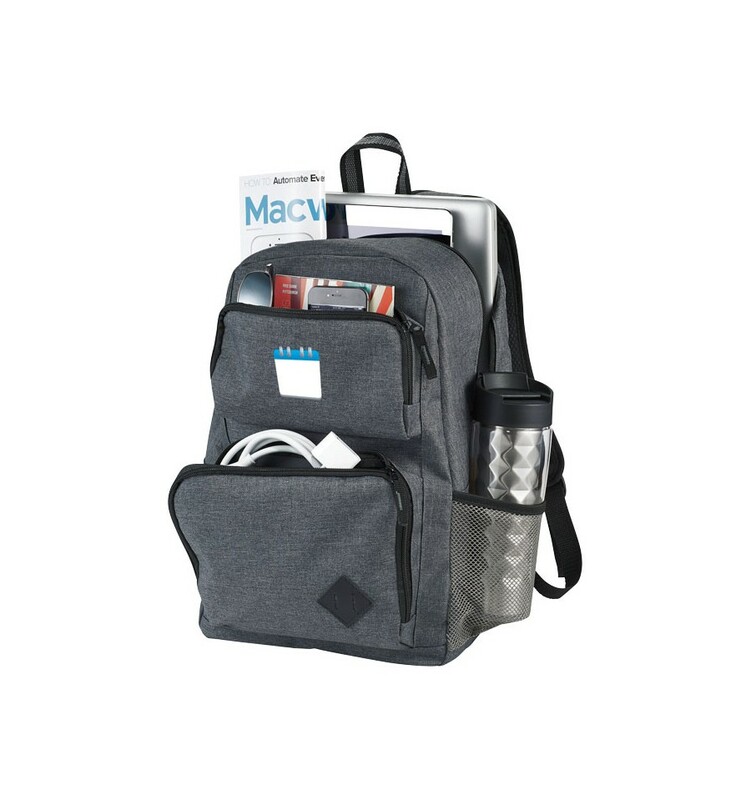 Two front zipped pockets includes a deluxe organiser that holds your pens and business cards, while the rest of the pocket is large enough for power banks, cables, and other essentials. The two front pockets also offer flexible decorating locations. 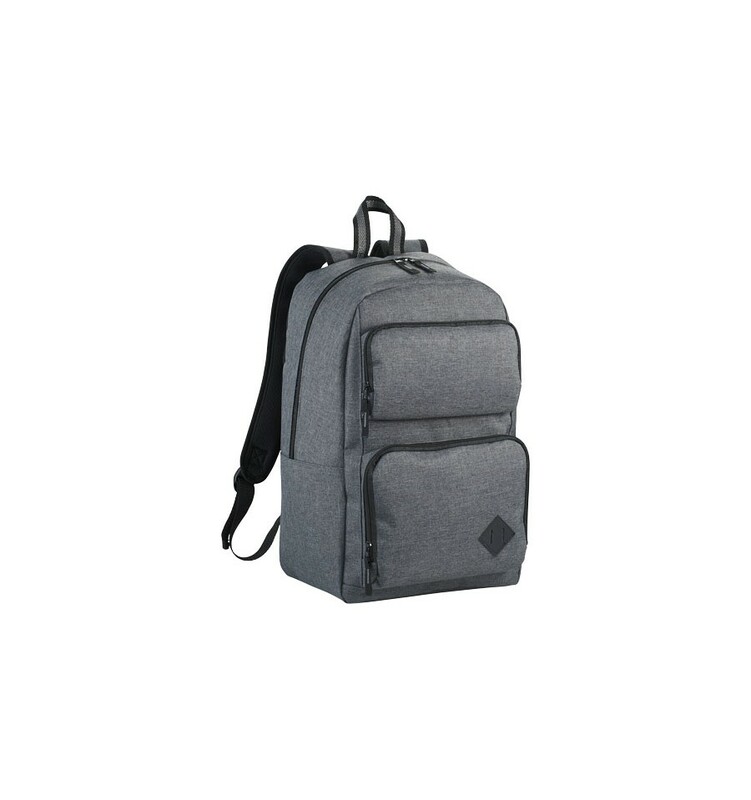 The side pocket offers additional storage. 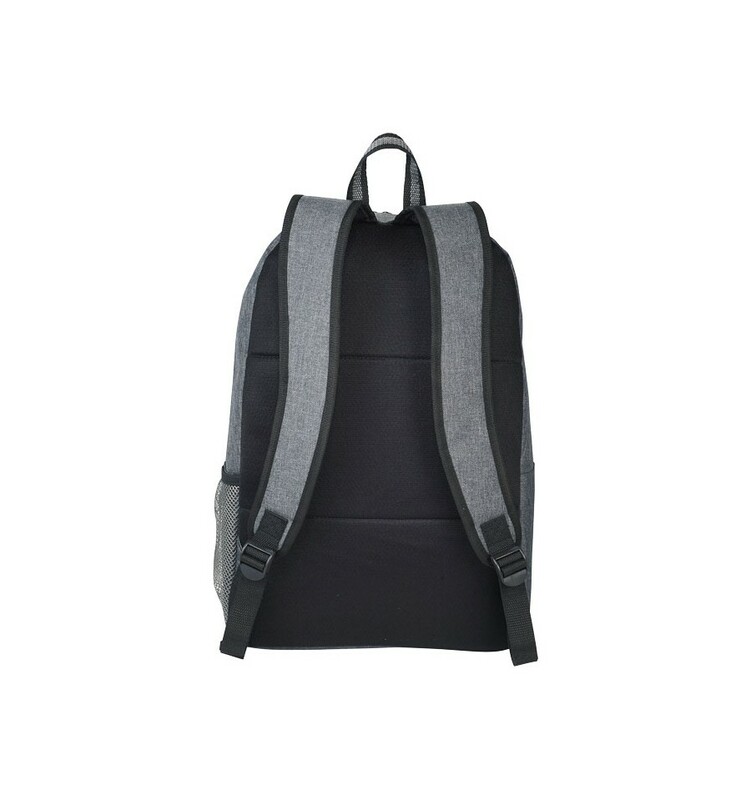 Adjustable padded backpack straps and padded top grab handle. 600D Polyester. 360g.